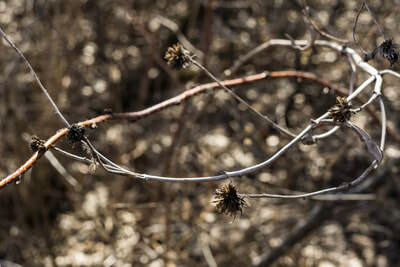 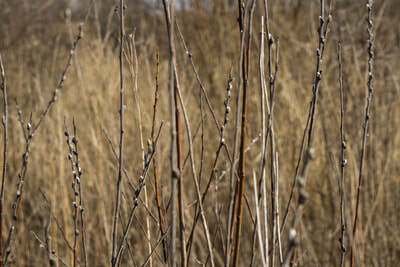 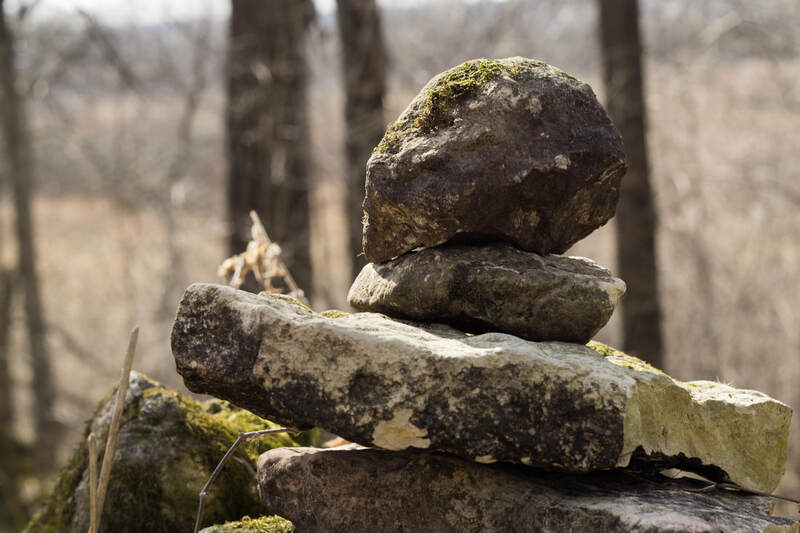 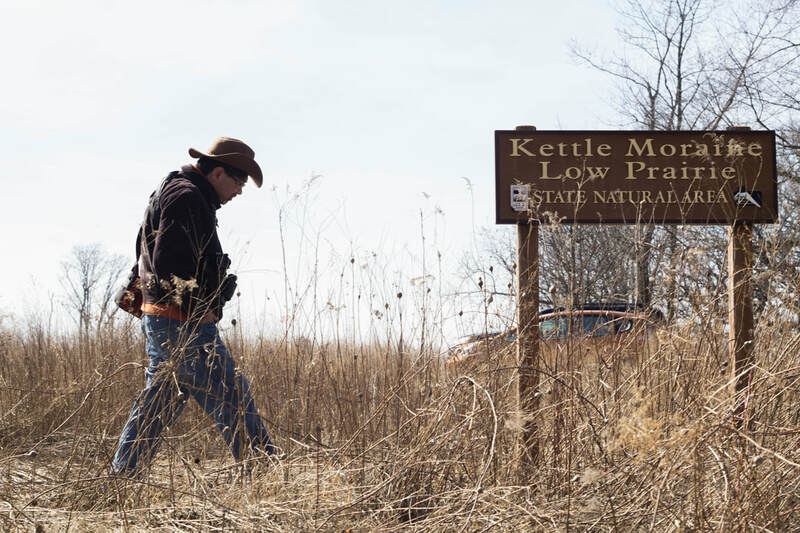 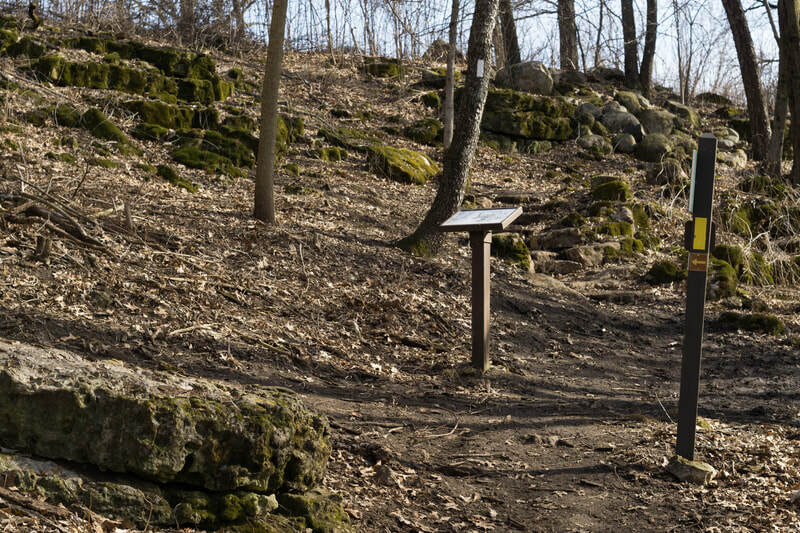 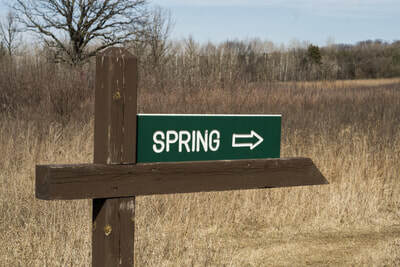 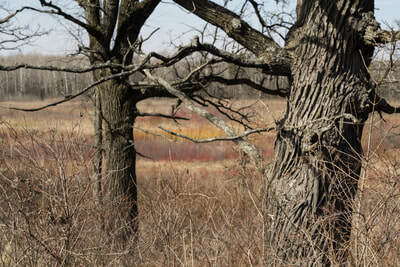 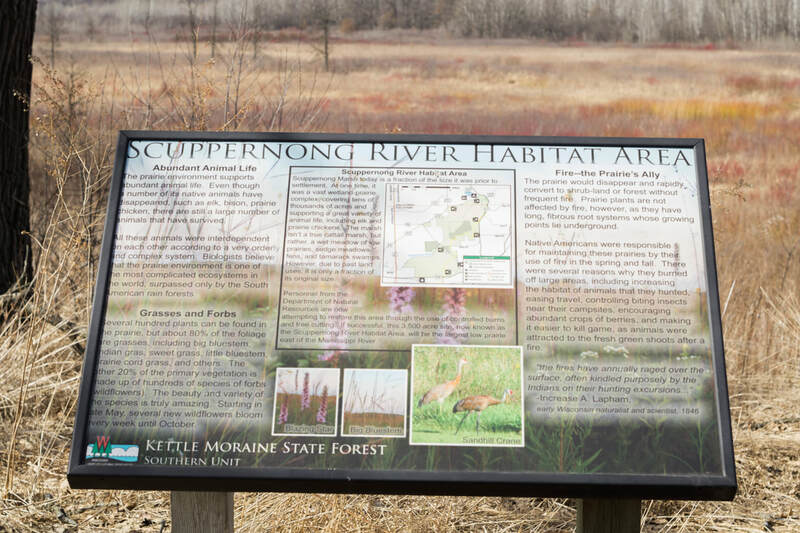 Keep your eyes open, because it's easy to miss the sign and parking lot for Kettle Moraine Low Prairie Natural Area. 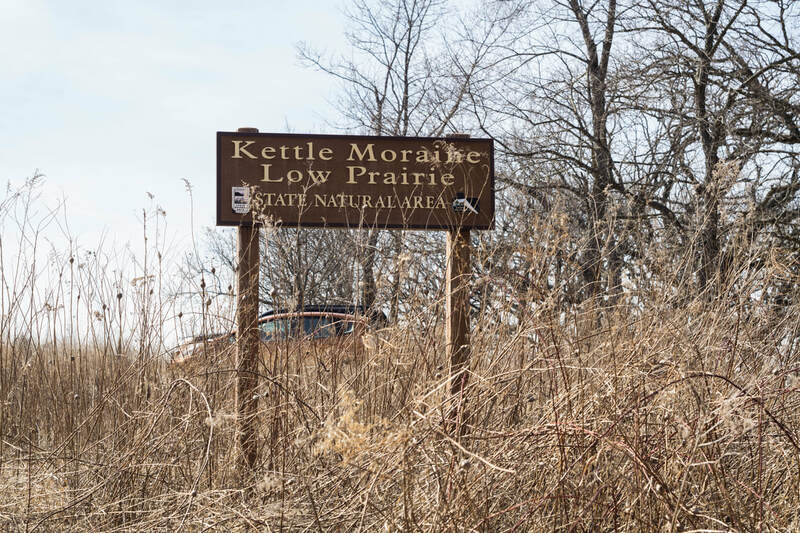 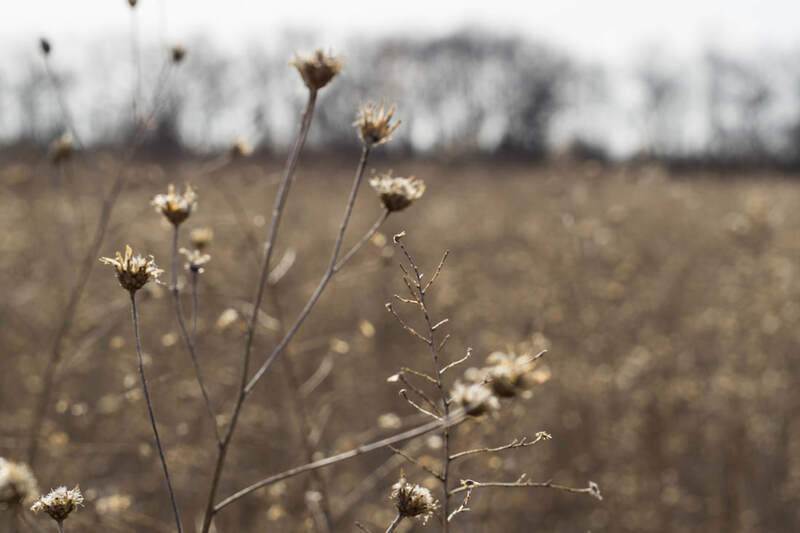 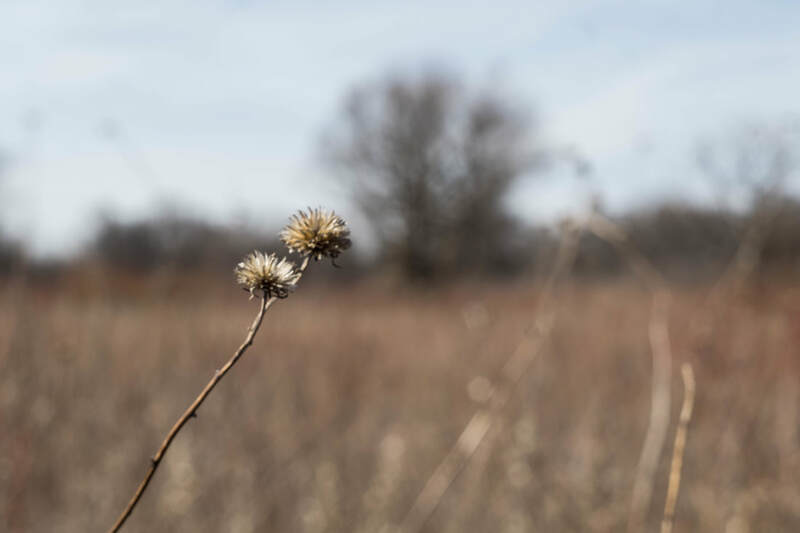 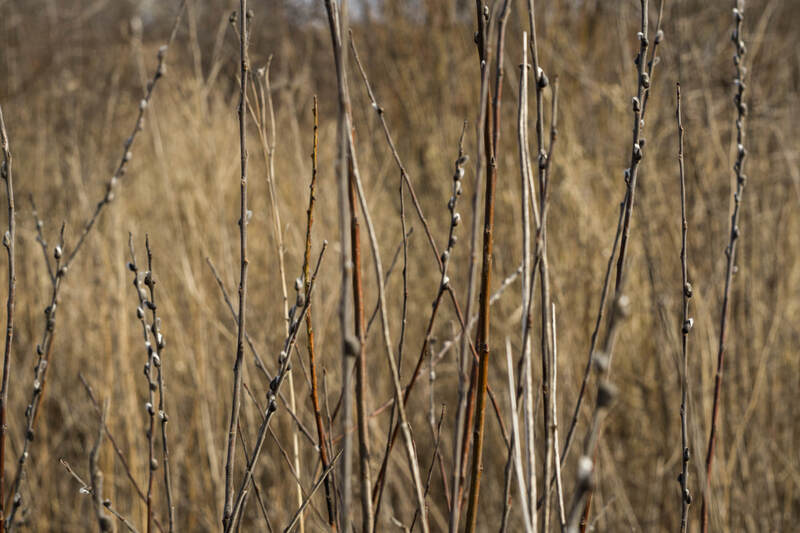 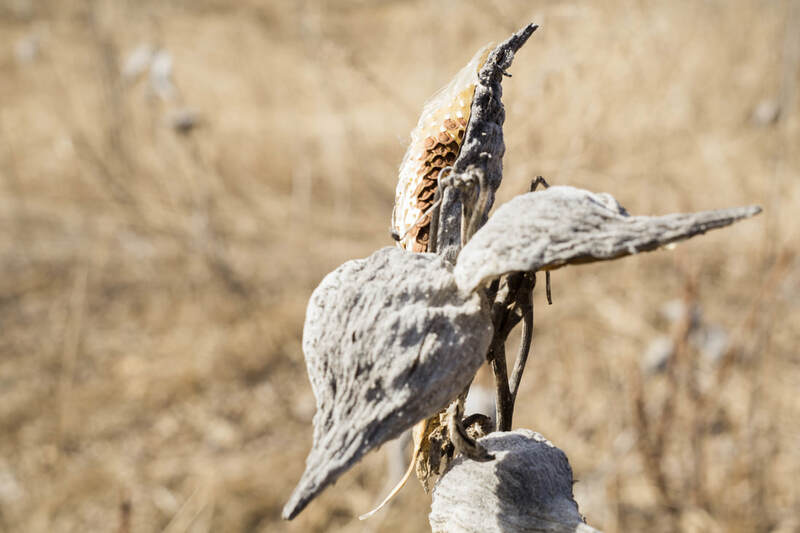 The prairie consists of 250 acres that include a sedge meadow, wet-mesic prairie, and native and wild plants such as blue-joint grass, valerian, and Ohio goldenrod. 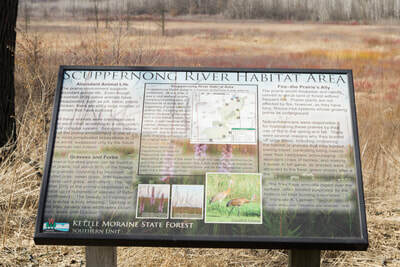 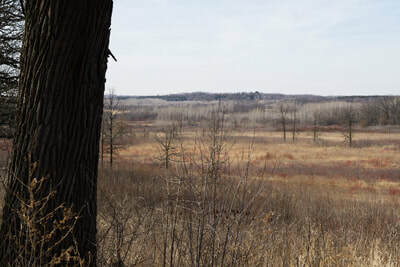 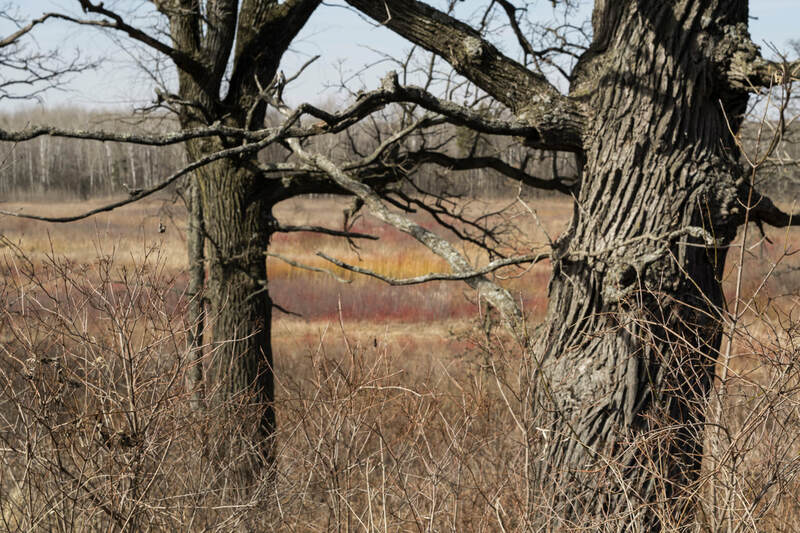 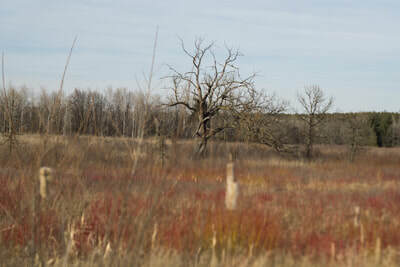 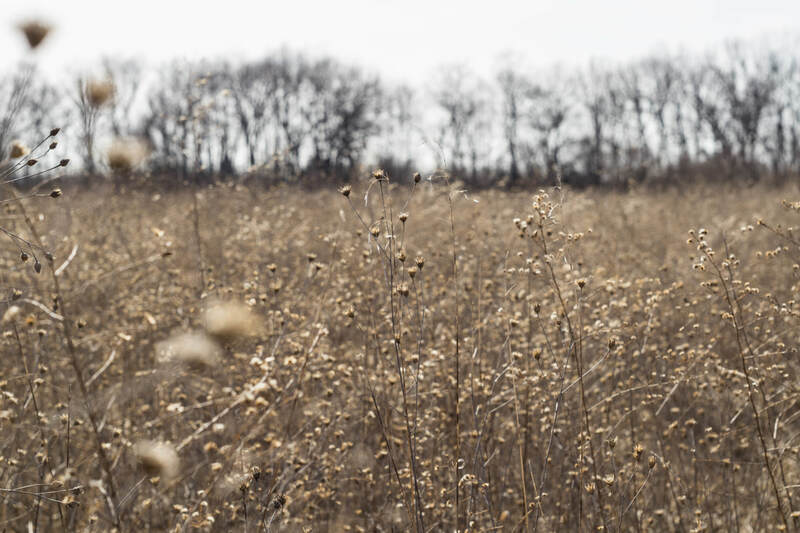 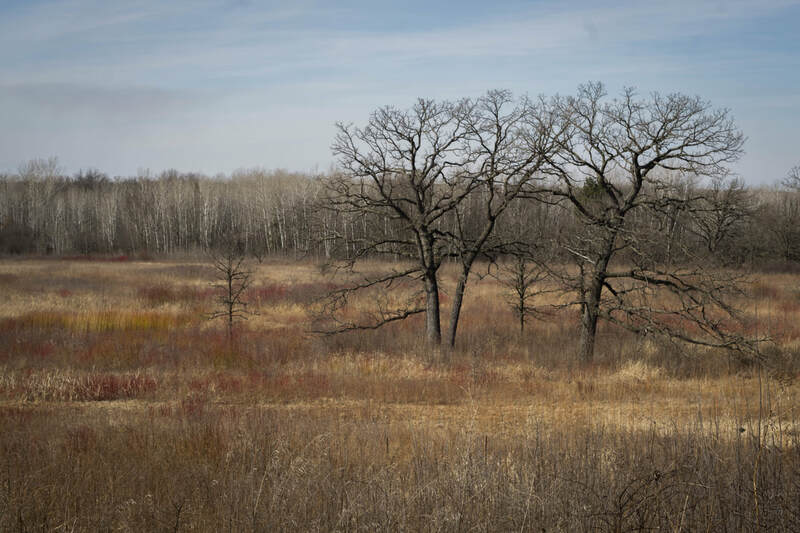 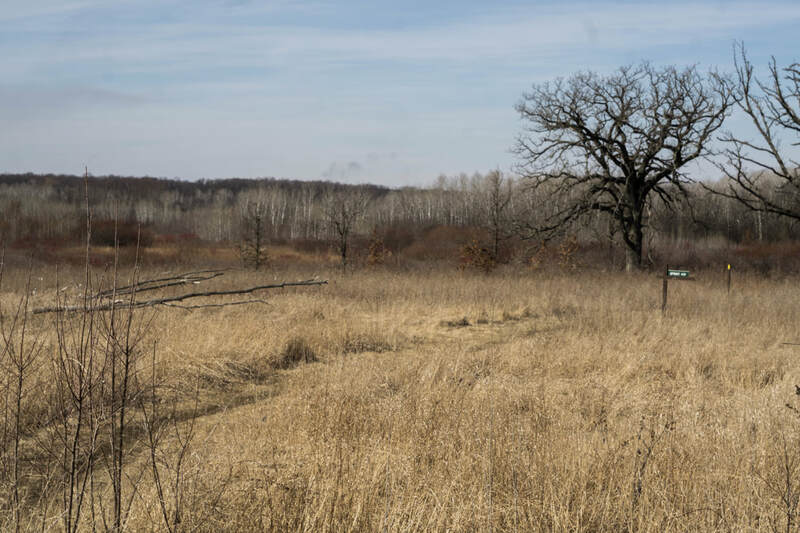 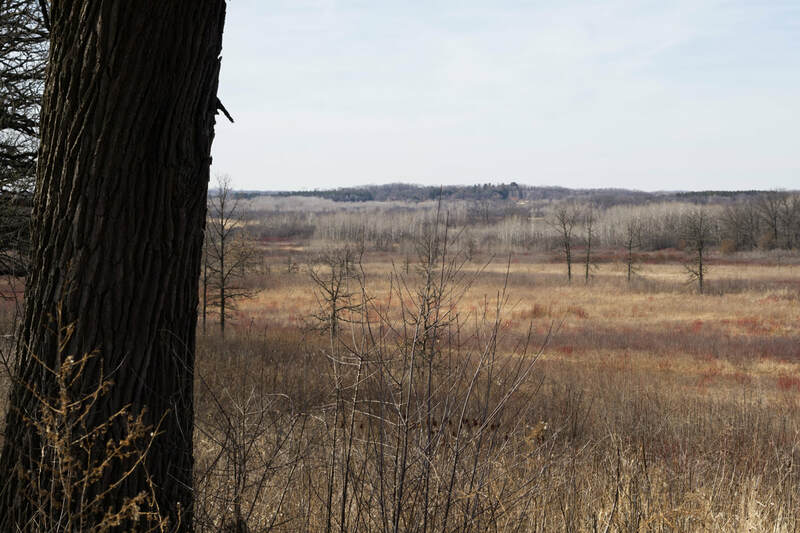 This low prairie is part of the Scuppernong River Habitat area in the Southern Kettle Moraine Forest, and is home to many different birds and wildlife. 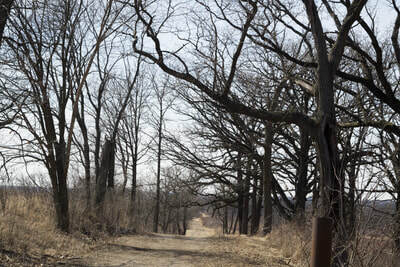 The trails are easy to walk, though muddy at times. 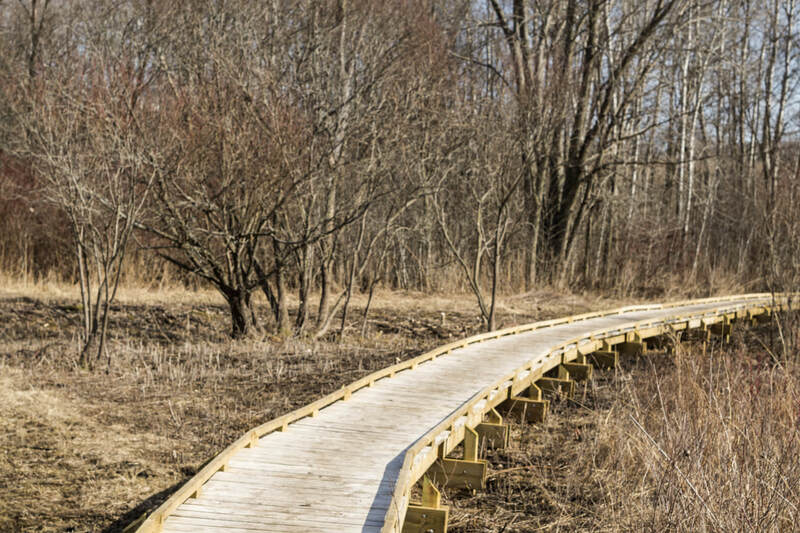 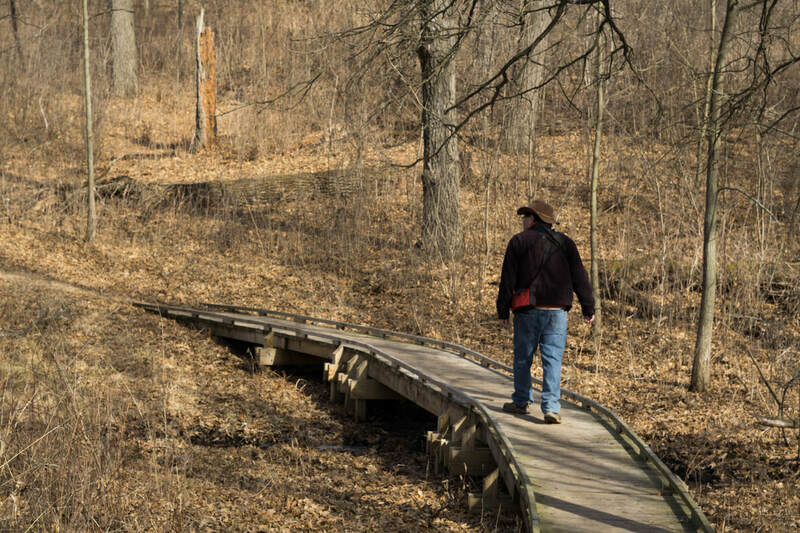 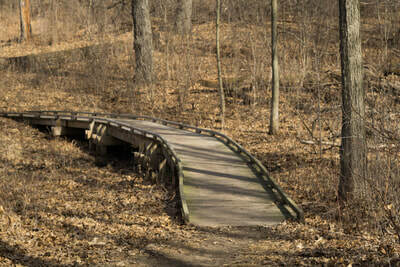 There is a boardwalk curving through a portion of the trail, and another boardwalk that leads to the trail to Brady's Rocks south of the prairie. 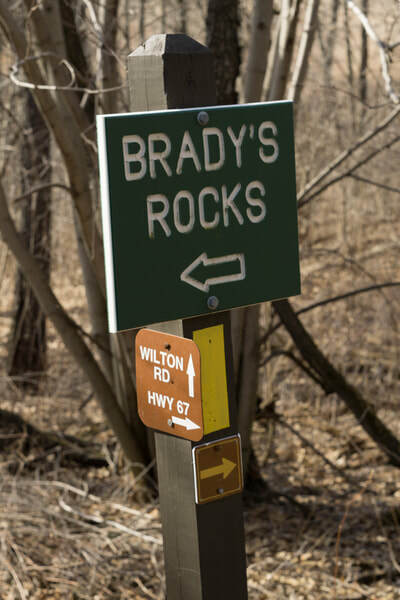 Brady's Rocks are part of an exposed portion of the Niagara Escarpment, which extends through to Door County (and further east to end at Niagara Falls). 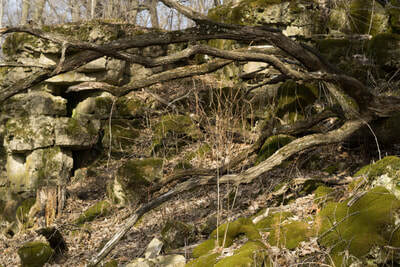 This expanse of 8 foot high rocks are named for Irish immigrants Michael and Kathleen Brady who settled here in 1855. 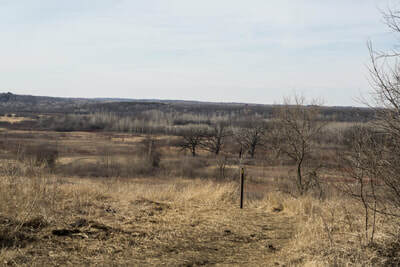 Once to the top of the hill above Brady's Rocks you can follow the trail back north across more prairie towards the parking lot. 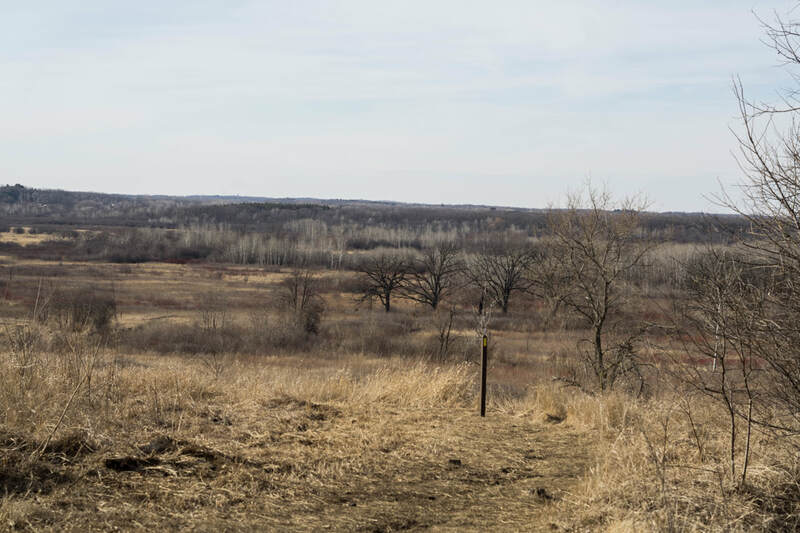 Directions: From the intersection of State Hwy 67 and 59 in Eagle, go north on Hwy 67 for 2.1 miles to a gated access lane leading west. 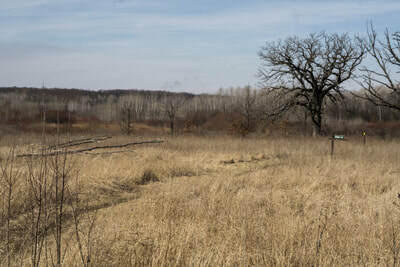 There is a small parking lot.